September 23rd marks the first day of Fall. With the new season approaching, many of us are getting back to our routines. 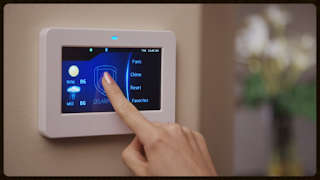 This is the perfect time to think about installing or upgrading you security system. We have been in business over 37 years and have options to fit all of your individual security needs. You need a communication link between your alarm system and monitoring service in order for them to know when there's an alarm that they need to respond to. Naturally, you want a communication link that's highly reliable, even during bad weather or power outages. You also want a link that is resistant to physical attacks so an intruder can't simply slash the phone line and leave your system cut off from the alarm. There are many methods to choose from,click here to find out which one is best for you.